Digitisation of manufacturing, advanced manufacturing present CPQ and other front-end processes with challenges and opportunities. Find out how manufacturing might change, adopting new technologies and taking advantage of the great value these new options present. But, advanced manufacturing now brings the possibility of unlimited options, pure customisation and the ability to fill orders for almost anything. Until now, the product to be sold already existed. Product management and engineering had designed it, tested it, priced it and put it on the market. Using CPQ to spec out parts and products for a one-off design system will require augmenting the capability of most CPQ systems. Additionally, organisational processes in terms of product management and engineering approvals will need to be incorporated into this design element as well. 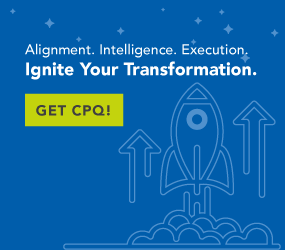 The strength of CPQ is found very early in the selling transaction as being able to channel the selection process for multiple options and variable configurations to tailor a generalised product to match a highly specific need. Coupling this with a robust, highly visible supply chain allows great variety to be offered without adding increased cost. Makers as a “movement” see the manufacturing capacity as a community resource; a sort of centralised facility that offers all manner of advanced fabrication tools including 3D printers, laser and high-pressure water cutters and more. Anyone can use it or employ it to make anything they want to make. Individuals can make parts for busted appliances; companies can make parts or finished products. The closer we get to on-demand, mass-customised manufacturing, the more we will require these technologies and their integration with our existing tools.